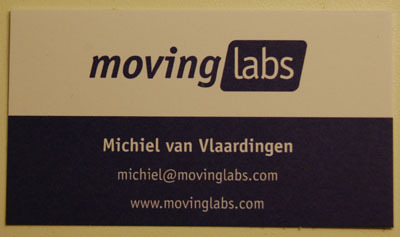 It’s quite ok, but I think having the blue printed as a single color, instead of using CMYK would give it a better look. Also I would really like to put the illustration we have on our website on the back, to make it a bit less formal. This entry was posted on Tuesday, February 24th, 2009 at 9:05 pm	and is filed under Uncategorized. You can follow any responses to this entry through the RSS 2.0 feed. You can leave a response, or trackback from your own site.